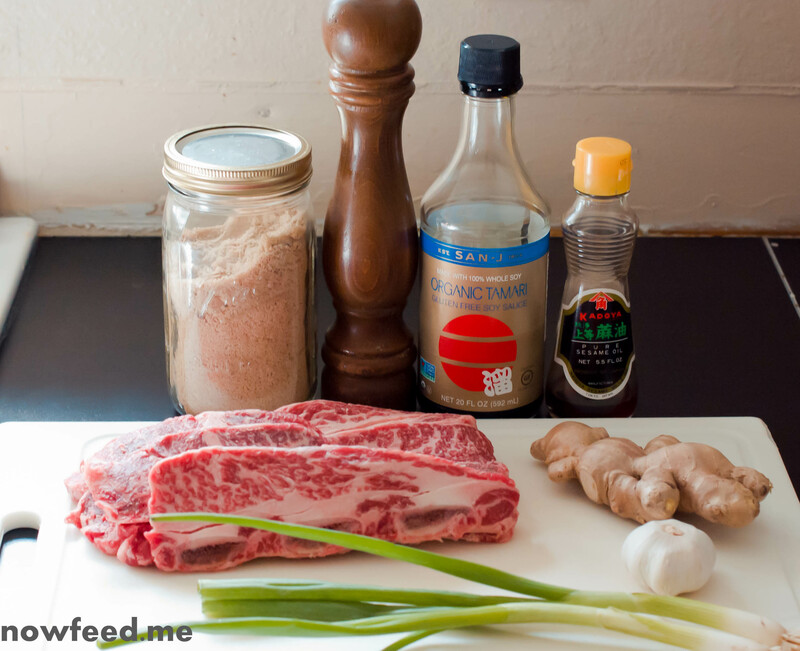 Put all the ingredients except the short ribs in a large ziploc bag or container and mix well. 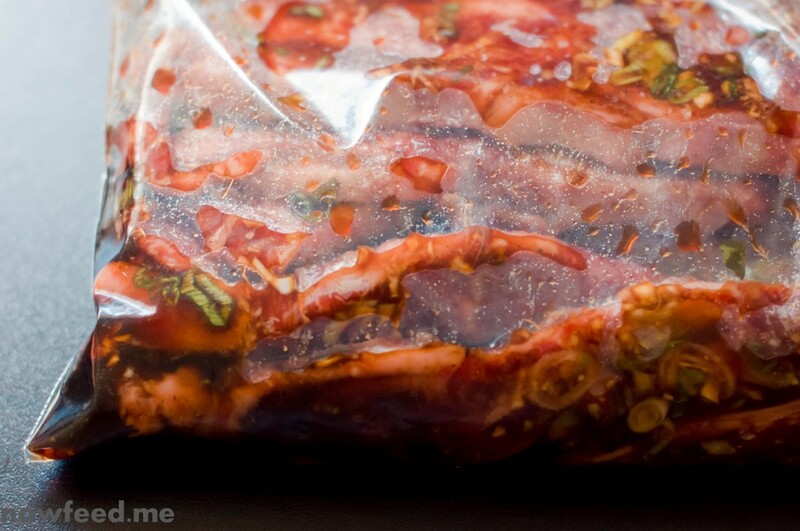 Add the short ribs and marinate in the fridge for at least 4 hours, over overnight. To cook, place a rack in the oven about 4 inches from the top and set the oven to broil. 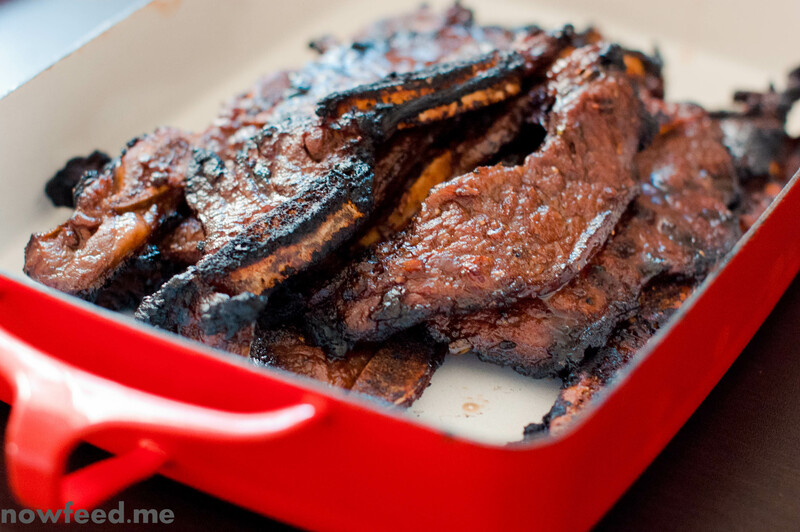 Place the marinated ribs in a tray and broil in the oven for about 3 minutes per side. Keep an eye on then as they will easily burn due to the sugar in the marinade. 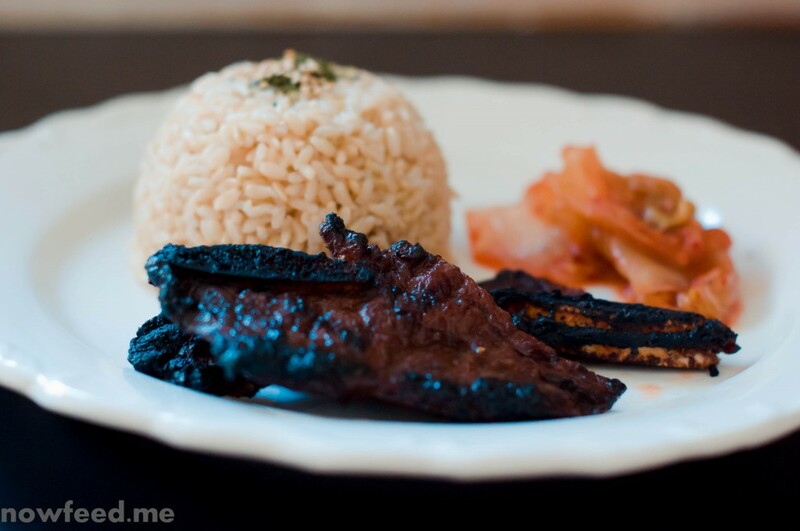 This dish can just as easily be grilled or pan fried for 2-3 minutes per side. In summer I like to make these on the grill to cook outdoors, and doing so also reduces the amount of heat generated in the house when it’s already over 80 degrees indoors. If you fry these in a pan it is better if you have a ridged pan as it makes nice lines on the ribs and also keeps any juices away from the meat, which helps prevent it from boiling in the pan if it is not quite hot enough. Make sure to start out with the pan preheated to medium-high heat (about 7 on my stove) to prevent this from happening.